Present state: The station building is extant although the track bed between the platforms has been infilled. Notes: Llong station was situated on the Mold Railway Company (MRC) line that linked its namesake to the Chester & Holyhead Railway (CHR) at Saltney Ferry. The line was opened on the 14 August 1849 and originally there were five stations including Llong. The station was located a short distance to the small settlement of Llong just off the Mold and Chester Road (the present day A5118). Llong was 11½ miles from Chester General. The line was a double track railway and Llong was provided with two platforms. The main facilities were on the down platform (Mold direction). They consisted of a two storey brick building that included a station house. The station building was designed by Francis Thompson and it was similar to some of the smaller stations on the CHR. The up platform (Chester direction) had two simple wooden waiting shelters. One was designated as a 'waiting shed' and the other as 'a ladies waiting room'. To the east of the station there was a level crossing that carried a local road across the line. Llong had sidings that were located to the east of the level crossing. At the time of opening train services ran between Mold and Chester and they were operated by the CHR which became part of the London & North Western Railway (LNWR) in 1859. By August 1862 there were four trains in each direction. The first train left Mold at 8:00am and the last train returned from Chester at 6:15pm. 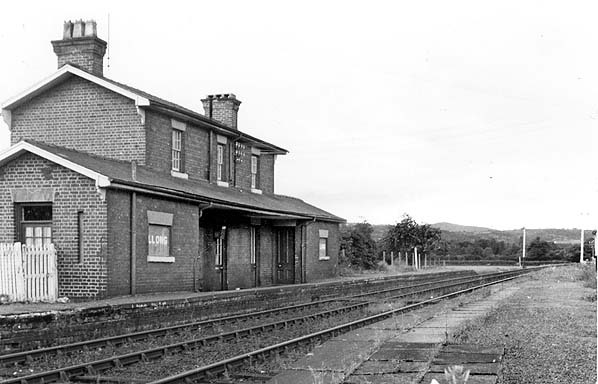 On 12 September 1869 the Mold & Denbigh Junction Railway (M&DJR) opened a line from Denbigh which made an end on connection to MRC at Mold thereby creating a railway between Chester and Denbigh. Train services along the entire length of the line were operated by the LNWR. 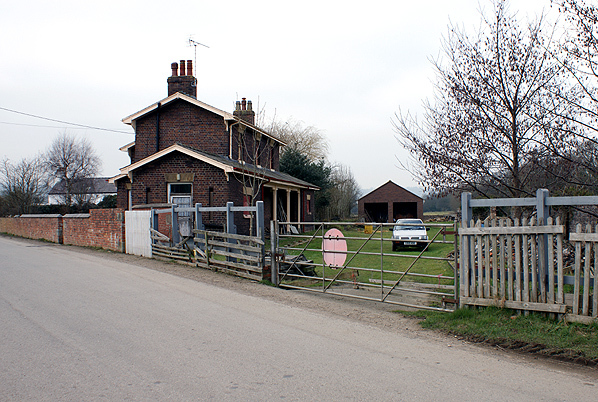 The LNWR built a signal box at Llong to control the level crossing and the points that gave access to the sidings. The box was located on the east side of the crossing on the south side of the line. By December 1895 Llong had 7 trains in each direction Monday-to-Saturday and no trains on Sundays. By July 1922 the service consisted of only 6 up trains but in the down direction it had increased to 8. There was still no Sunday service. On 1 January 1917 Llong was closed as a war time economy measure and it didn't reopen until 5 May 1919. On 1 January 1923 Llong became part of the London Midland & Scottish Railway (LMS). The LMS timetable for the summer of 1934 showed 13 trains in each direction Monday-to-Friday with an extra up and down train on Saturdays. 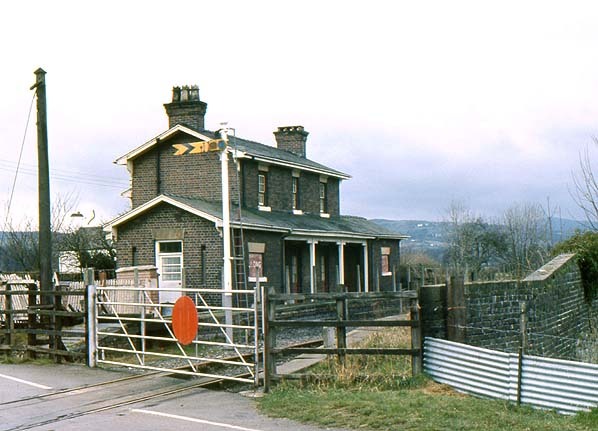 The sidings were removed in the 1930s and the signal box was closed and demolished. the box was replaced by an eight lever frame that was located at the east end of the down platform. It controlled signals and a gate lock for the level crossing. Services at Llong reached their peak in 1939 when there were 15 trains in each direction on Saturdays. There were even 5 trains each way on Sundays. After the start of the Second World War on 3 September 1939 passenger services were reduced. They had recovered by the summer of 1947 but to nothing like their pre-war levels there being 7 up and 6 down trains Monday-to-Saturday and no Sunday service as shown in the table below. On 1 January 1948 Llong became part of the nationalised British Railways [London Midland Region] (BR[LMR]). After 31 January 1953 Llong lost its direct services to Corwen when all passenger services were withdrawn between Ruthin and Corwen. The 1955 summer timetable showed Llong as having 9 up and 9 down trains Monday-to-Saturday. All of the up services ran to Chester General. Five of the down trains ran to Denbigh and 4 to Ruthin. By the summer of 1960 Llong was only being served by 8 up and 9 down trains Monday-to-Saturday only. BR[LMR] proposed the line for closure in 1961. Objections kept services running into the following year. The last trains ran on Saturday 28 April 1962 and complete withdrawal followed from Monday 30 April 1962. Llong station had no goods facilities by this time and was closed completely. The line remained open for goods between Saltney Ferry and Rhydymwyn. It was singled through Llong in the late 1960s and trains continued to pass through the station site until March 1983 (latterly only running between a spur with the Wrexham – Bidston line at Hope & Penyfford and a chemical factory at Mold). 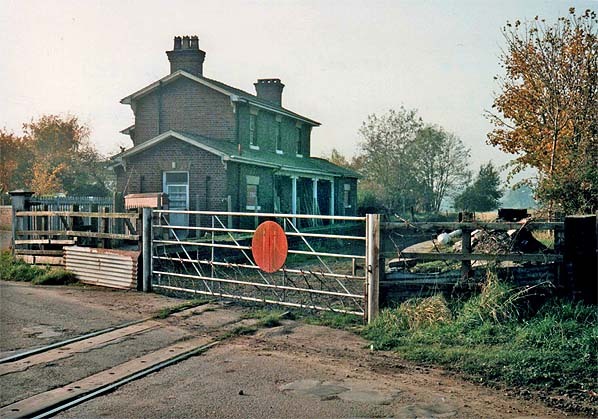 The line was lifted in June 1985 but Llong station could still be seen in 2014 in use as a private residence. 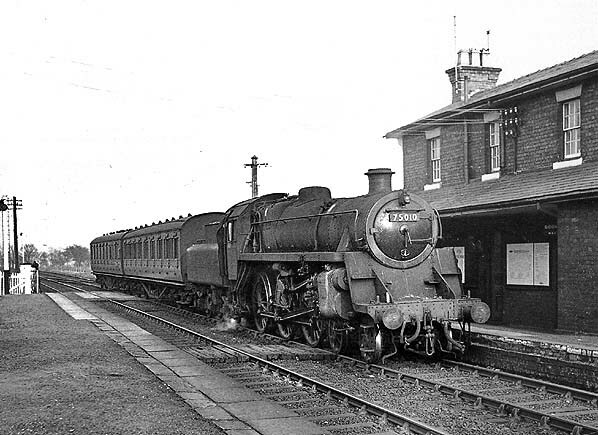 Llong station looking east in the early 1960's as Chester to Ruthin train pulls into the down platform. Llong station shown on a six inch scale OS map from 1898. Llong station shown on a 1,2:000 scale map from 1899. Looking west towards Mold from the Llong station up platform in the mid-1960s. 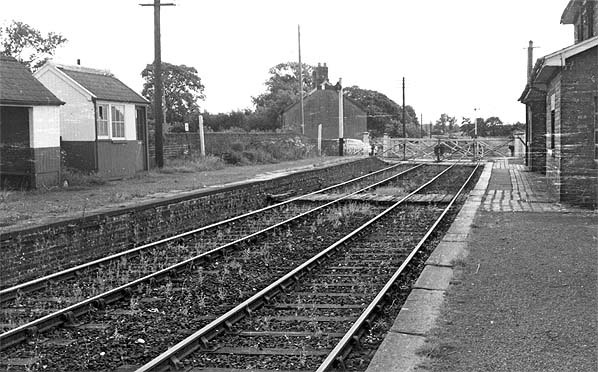 A view looking east along the down platform at Llong in the mid-1960s after passenger services had been withdrawn. 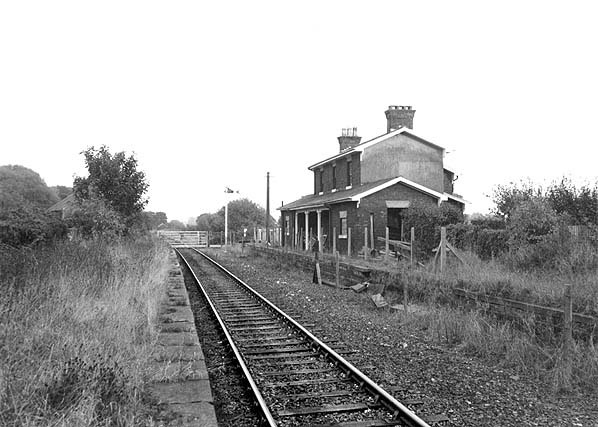 Llong station looking west in March 1978 after the line had been singled and the level crossing converted to train crew operation. Looking east along the former up platform at Llong station in October 1979. A view looking west in November 1987 after the line had been lifted. Llong station looking west on 4 March 2011.